A stay at Hotel Arcadia places you in the heart of Venice, within a 15-minute walk of Ca' d'Oro and St. Mary of the Friars. Featured amenities include complimentary newspapers in the lobby, dry cleaning/laundry services, and a 24-hour front desk. Located in Osimo, Antistress affittacamere is within a 15-minute drive of Caves of Osimo and Osimo Civic Museum. The front desk is staffed during limited hours. Free self parking is available onsite. Located in San Teodoro, Appartamento Pamela 2B is within a 5-minute drive of San Teodoro Lagoon and San Teodoro Beach. Free self parking is available onsite. With a stay at Villaggio Laguna Blu in Caorle, you'll be next to a golf course, within a 15-minute drive of Caorle Cathedral and Eraclea Beach. Free self parking is available onsite. 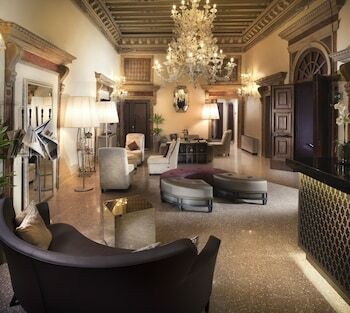 When you stay at Hotel Milano in Pietrasanta, you'll be near the beach and 6 minutes by car from Forte dei Marmi Beach. Located in Nicolosi, Notti e Dintorni is a 4-minute drive from Sanctuary of Our Lady of Sciara and 7 minutes from Sanctuary of Our Lady of the Rock. Free self parking is available onsite.